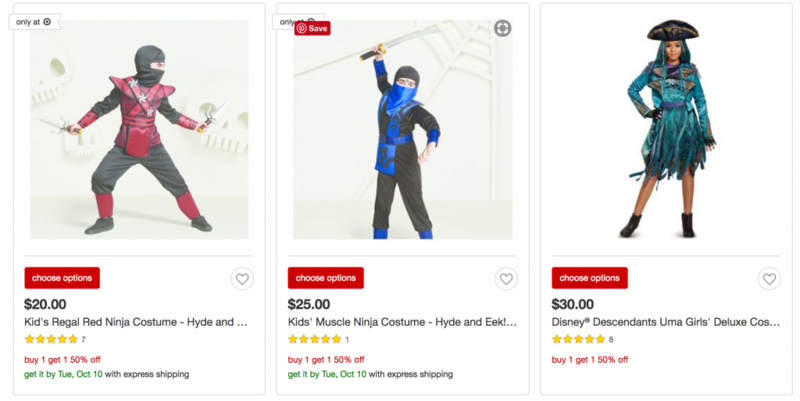 BOGO 50% Off Halloween Costumes, Accessories & Candy At Target! Still need to get those Halloween costumes in order? 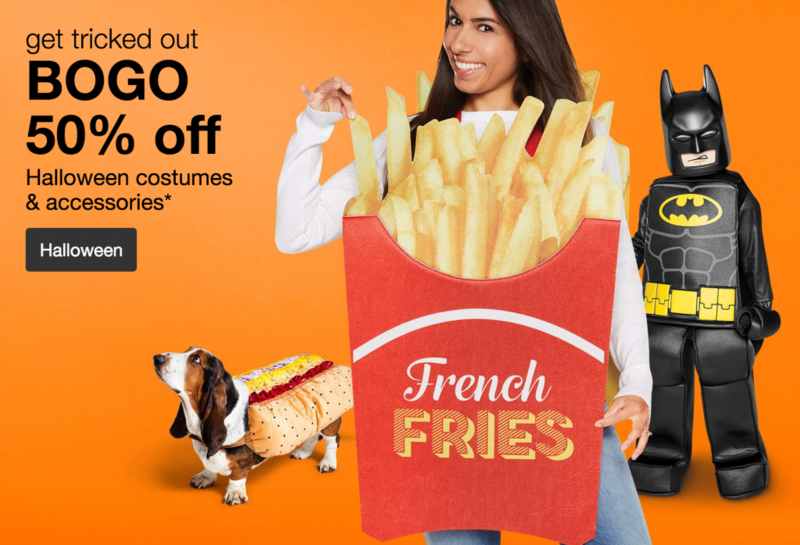 Head over to Target where you can get all tricked out with BOGO 50% off Halloween Costumes, accessories, and select candy! I love Halloween. but I don’t love spending a small fortune on it. Deals like this help you get the costumes your kids want without breaking the bank. Plus. if you checkout with your Target REDCard you will save an additional 5% and score free shipping. Select kids costumes are as low as $20.00. That means you can get two costumes for just $30.00; or $15.00 each! You can also save on select Halloween Multipack Candies! Everything you need at one store, and you don’t even have to leave your house to get it!